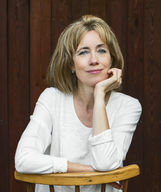 Charlotte Link is the most successful German author of the present day. Her psychological suspense novels have been translated into numerous languages and are international bestsellers. In Germany alone, 28.5 million books by Charlotte Link have been sold to date. Charlotte Link lives with her family near Frankfurt.